Join Pukekohe Golf Club on 25th November at 3:30pm for our first team golf event! For more information please contact manager@pukekohegolf.co.nz or simply register here! Members and Visitors welcome! This offer is about getting you to Pukekohe to enjoy the experience that we can enjoy every day. It will enable you to enjoy, what independent golfers have said, is one of the best courses in Auckland. Once started we can offer you a range of membership options will make it an easy decision to join our club.  As part of Love Golf we have a Full Membership special of $1,250 to 31st August 2015 and a Midweek offer of $1,030 until the same date. Further, we include a passport that offers you 2 complementary rounds at 4 other specific Auckland clubs and 1 in the Waikato. These represent the best quality offers for a course of this standard in Auckland and we are not far away. The course has 18 holes in a Parklands style layout with 80 year old trees typically aligning each fairway. These are complemented by three lakes around the course and a stream along the Northern boundary. Further, there will be many birds including Wood Pigeon, Tuis, Fantails and the like to accompany you as you enjoy our golfing experience. Remember, all of this is available just 5 minutes from the Southern Motorway where you use Exit 471, head towards Pukekohe and we are there on the left side. Take a little care entering the car park as the road is very busy and, if looking for us on GPS, then enter 654 Karaka Rd, Karaka 2578. The facilities at the club include a practice fairway and a 3 bay practice net to get you warmed up before you play one of the four tee set ups to suit your golfing ability. You will start your game at the proshop where AAA PGA rated professionals will welcome you, assist you with getting your playing card and ushering you to the tee. They will be able to give you lessons to help your game into the future. Once you have finished you will be able to relax in the cafe with some quality meals or snacks to suit your fancy as well as a cool drink so you can discuss the successes of your game on the course.